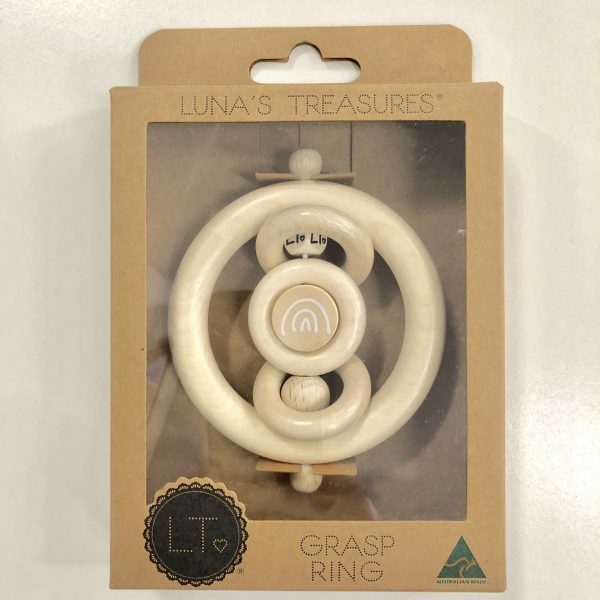 The Luna Treasures Mini Grasp Ring Rainbow is a sensory toy for baby’s starting to grasp. 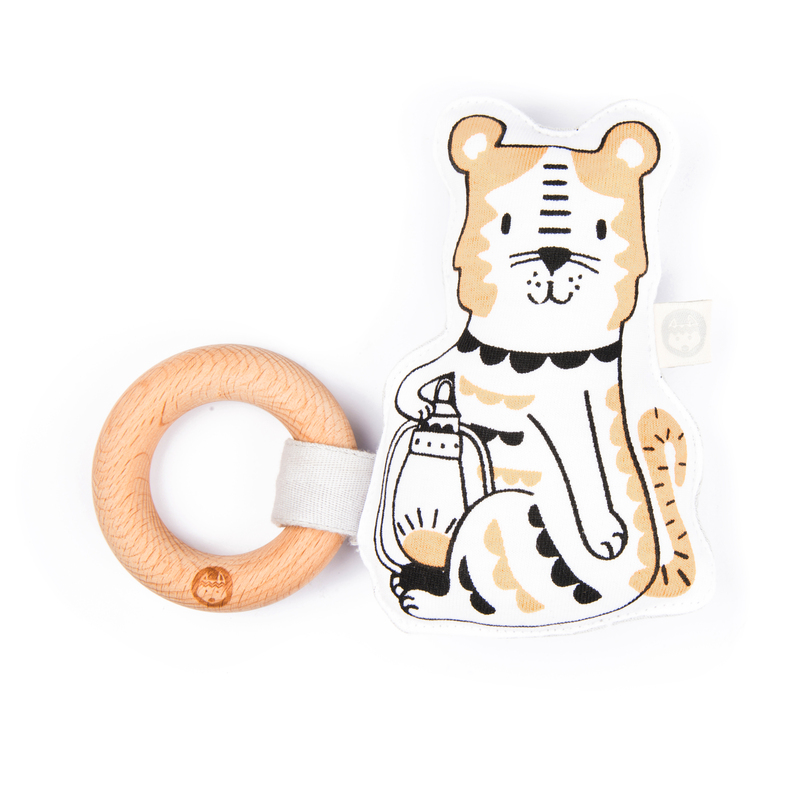 They can feel the different shapes and listen to the rattle sound from shaking the rattle ring. 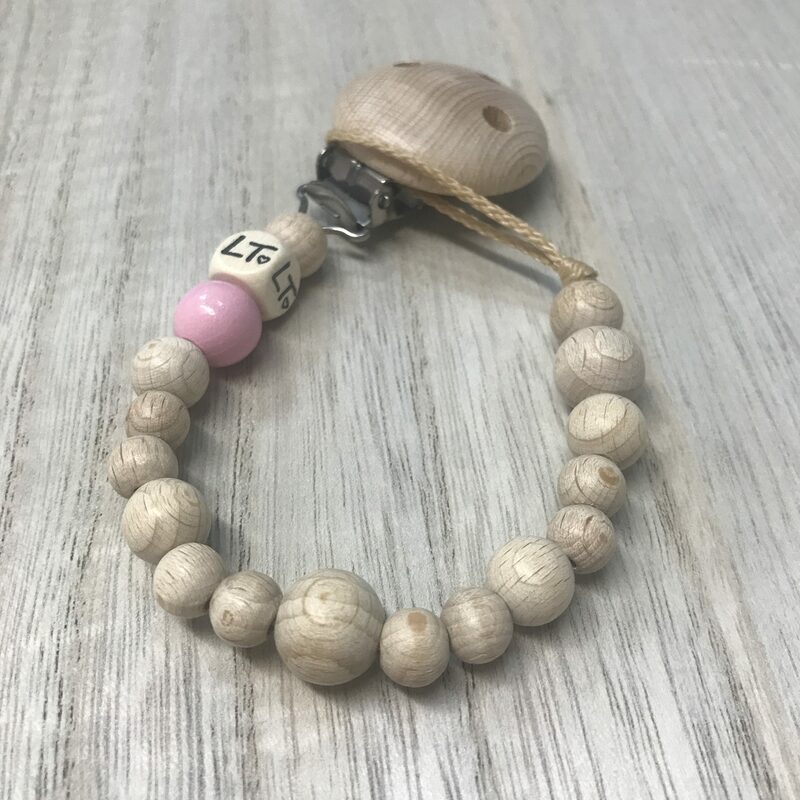 View our full range from Luna Treasures.